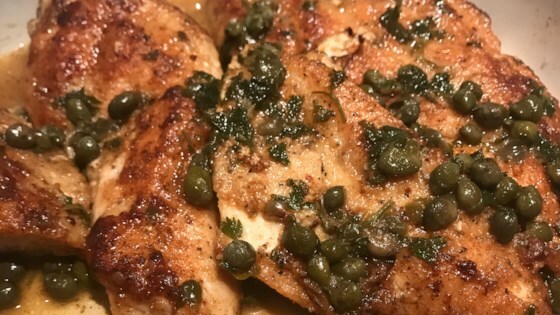 "These quick and easy pan-fried chicken breasts are topped with a simple pan sauce made with capers, butter, white wine, and lemon juice." Heat olive oil in a skillet over medium-high heat. Place chicken in the pan, reduce heat to medium, and cook until browned and cooked through, about 5 minutes per side; remove to a plate.